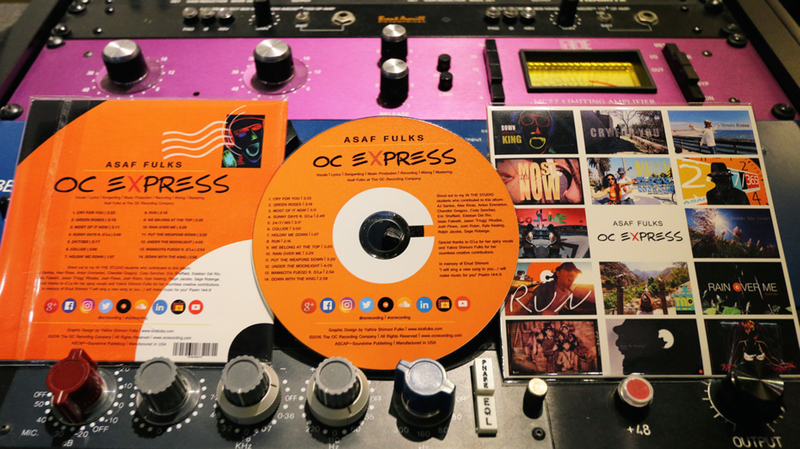 Asaf Fulks solo debut album OC Express is now playing! 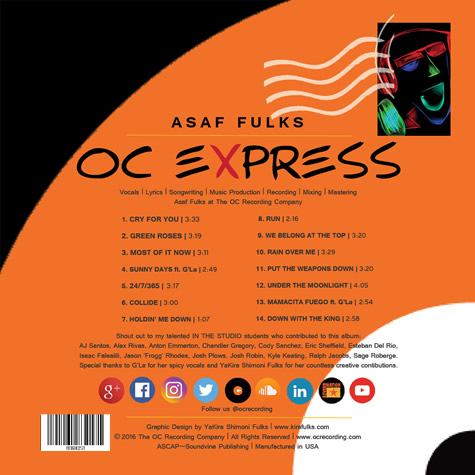 Written, composed, produced, engineered, performed and videography by Asaf Fulks. Cover design and countless creative contributions by Kira Shimoni Fulks. Many thanks to G'la for her spicy vocals and all our talented IN THE STUDIO students who contributed to the project. Fantastic feedback from Matan Cohen. Dedicated to Ehud Shimoni. 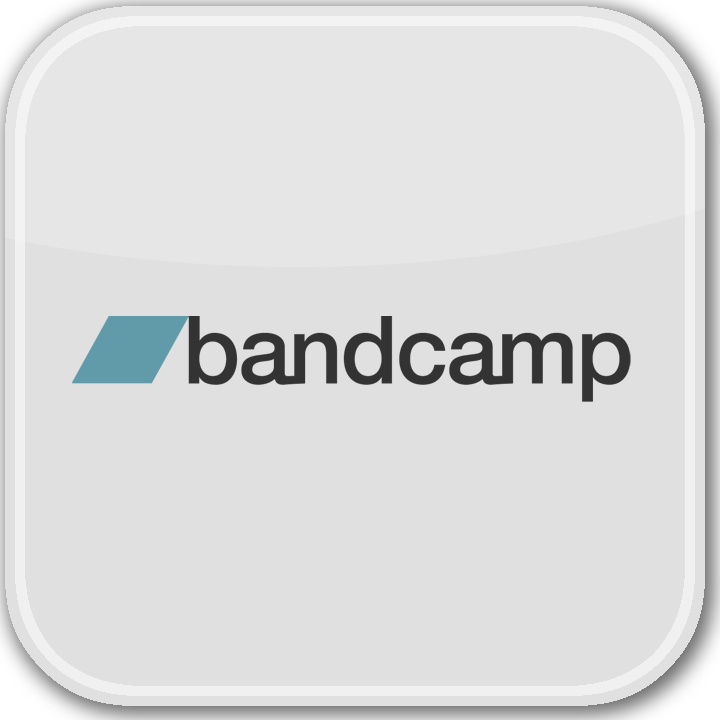 Physical copies available through our facebook page.